A presentation by the World Bank’s lead economist for the African Region has struck a raw nerve with the government of Pakistan. In a presentation held during an official book launch ceremony, Mr Vincent Palmade used a map of Pakistan which omitted both Pakistan-occupied Kashmir (PoK) and Gilgit-Baltistan. Gilgit-Baltistan – a region occupied by Pakistan since 1947, but never fully integrated and given appropriate rights and freedoms – is at the heart of the controversial CPEC project developed by Pakistan and the Peoples Republic of China. 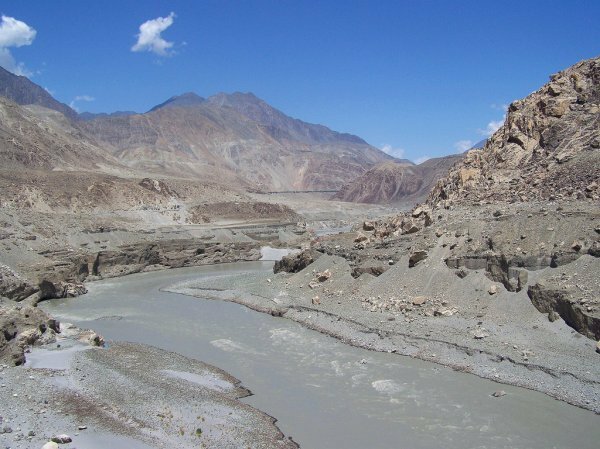 Researchers and the local population agree that CPEC puts the environment of the region under grave threat. The World Bank defended its decision to use the map, stating that it doesn’t have an official map of the contested region. Islamabad is fuming with anger after the World Bank used a map of Pakistan without the territories of Pakistan-occupied Kashmir (PoK) which they call Azad Jammu and Kashmir (AJK) and Giglit-Baltistan (G-B). According to a report in The Express Tribune, Pakistan has decided to lodge an official protest with the World Bank (WB) in this matter. World Bank’s Lead Economist for African Region Vincent Palmade had used the map in his presentation during the official ceremony of a book launch in Islamabad on Tuesday [13 December 2016]. The book titled ‘South Asia’s Turn: Policies to Boost Competitiveness and Create the Next Export Powerhouse’ was launched during the annual general meeting and conference of the Pakistan Society of Development Economists. Interestingly, the World Bank has defended its decision to use the Pakistani map that omitted PoK and G-B. Pakistan, however, is not satisfied with the explanation and has decided to officially lodge a protest with the World Bank office in Pakistan on this matter. “After consulting with the Foreign Office, we have issued a disclaimer as the WB official has shown an incomplete and incorrect map of Pakistan,” Pakistan’s Planning Commission’s Chief Economist Dr Nadeem Javeid, who chaired the session in which the WB official used the map, said.